Hello again! Are you hanging in there with all this Christmas inspiration coming your way? Today is another fun day because we are talking holiday games! My game is one that can actually be played at baby showers and wedding showers etc… and it is ALWAYS a big hit! Even the men get involved, mostly because they think they can do better, but they can’t! NOPE! My mother introduced this game to me and we have played it with friends ever since. 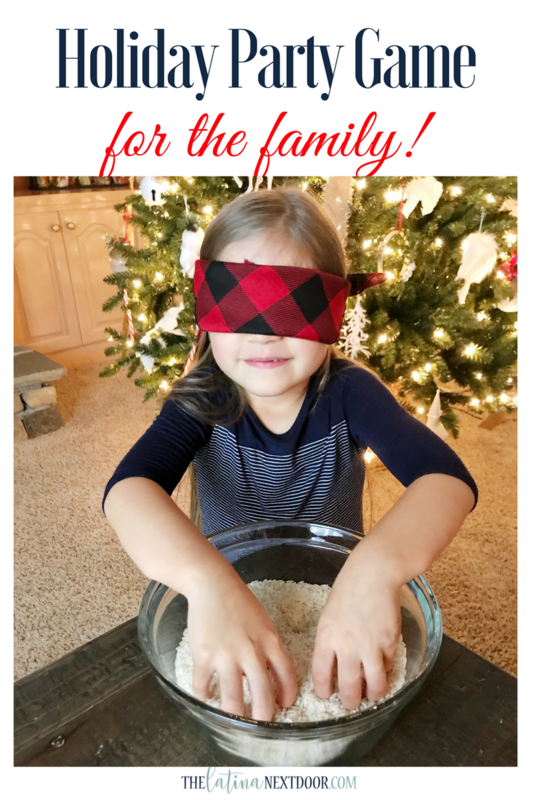 So if you are up for something a little different check out my version of a fun Christmas Party Game! My daughter and I also made a video and we had a blast! To watch it go here or scroll further down! 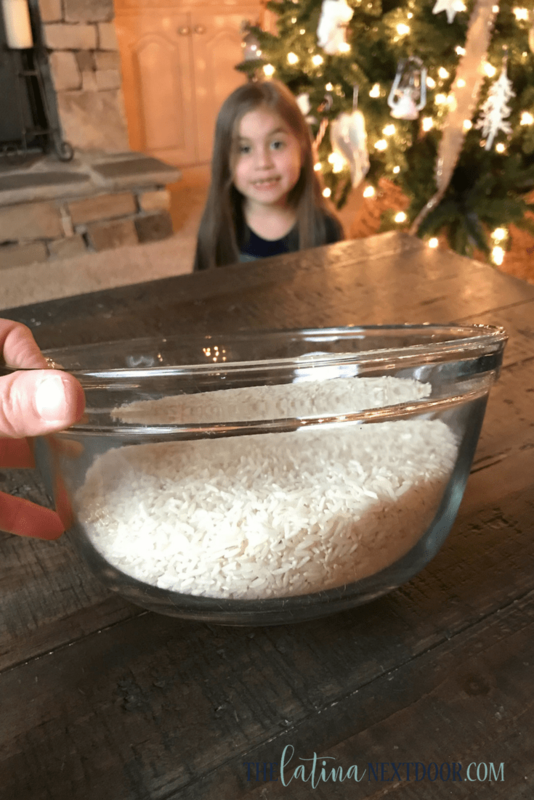 I like to use a large glass bowl, but you can use what you have on hand. 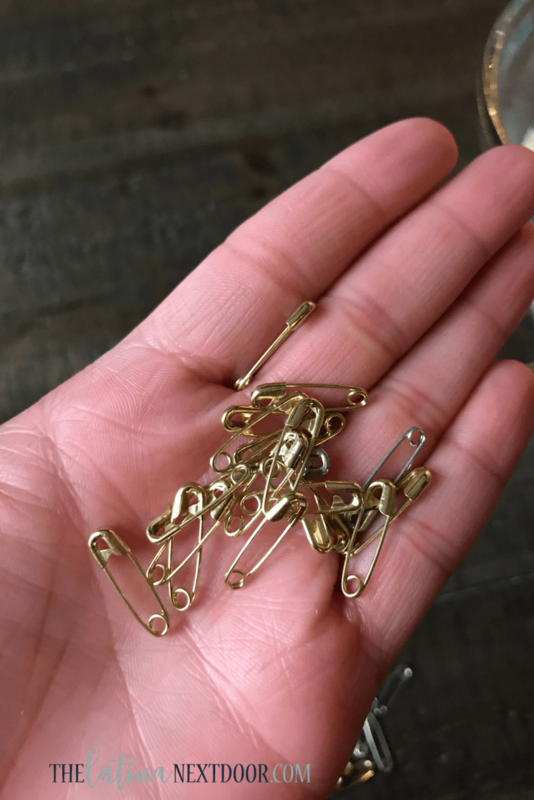 I typically add double this amount of pins. 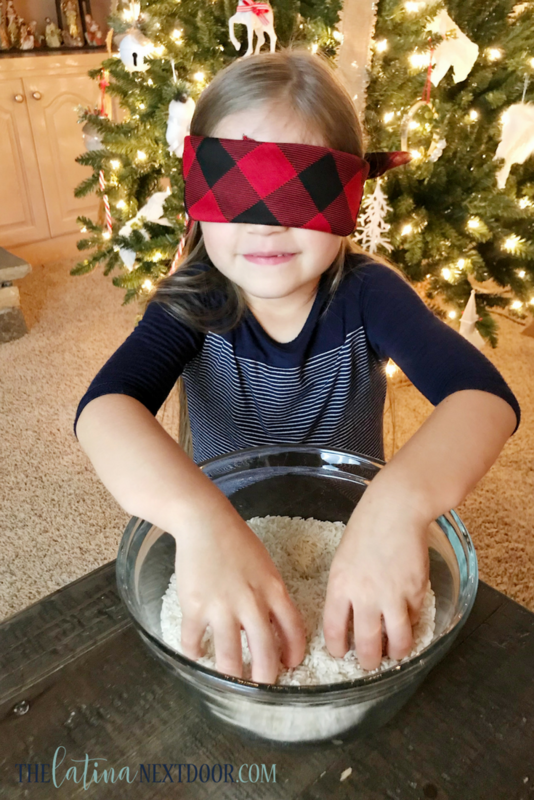 So what you do is blindfold the player, set your timer to 30 seconds and see who can get the most pins out of the rice! And that is basically all there is to it! Easy peasy, for a whole lot of fun! You won’t believe how competitive everyone will get! It’s hilarious! This sounds so fun! My kids love playing in rice. Thank you! I hope your family tries it! Love this idea. Our family always plays a ton of games on Thanksgiving and Christmas. Glad I can not incorporate a new one! Thanks Yamazing! LOL! Thank you Cindy! You need to let me know how you do when you try it. It is! My daughter made it look too easy in the video though, LOL!